It is inaccurate to say that Zimbabwe was once the bread basket for Africa. Yet Zimbabwe’s President Emmerson Mnangagwa told the state-owned Herald newspaper in May that the country is “on track to regain its bread-basket status owing to the highly successful Command Agriculture Programme”. While Mnangagwa was not clear on whether Zimbabwe was once a bread basket of Southern Africa or the entire continent, his predecessor, Robert Mugabe, often claimed continental success. 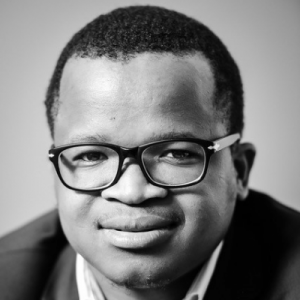 Fellow agricultural economist Sifiso Ntombela and I found in an Africa Check essay in 2017, aimed at assessing whether Zimbabwe was ever a bread basket for Africa that it was not. What we did find, however, was that Zimbabwe had been a self-sufficient food producer until its land reform programme was instituted. In our view, a country should be able to meet its staple food consumption needs and simultaneously command a notable share in exports of the same food commodity to be considered a “bread basket”. An examination of the production data from the UN’s Food and Agriculture Organisation of key staple foods — maize and wheat — shows that Zimbabwe’s production of these commodities never surpassed a 10% contribution to Africa’s production over the past 55 years. In the two decades prior to Mugabe’s leadership (1960–80), Zimbabwe provided an average share of 6% of Africa’s maize production — almost on par with Nigeria but lower than Kenya’s contribution of 7%. During that period, the country’s maize production outpaced consumption by an average 400,000 tonnes a year, making it a net exporter. During the first half of Mugabe’s rule (1980-2000), the country’s maize production contributed a share of 5% to Africa’s output. While it was a net importer in most years, on average the country remained a net exporter of maize, with a declining maize trade balance. This decline, and the country’s trade balance, worsened following the introduction of Zimbabwe’s land reform programme in 2001. The country’s share of maize production on the continent then dwindled to an average of 2%. During this period, its maize consumption outpaced production by an average of 550,000 tonnes per annum — turning it into a net importer. The trend is similar for wheat and other major grain commodities as a contribution to Africa’s food system. Mnangagwa also boasted that “Zimbabwe kissed hunger goodbye when it embarked on Command Agriculture with the support of Sakunda Holdings”. While this might have been true for the 2016-17 production season, it might not hold in the current season. The most recent data from the US department of agriculture suggest that Zimbabwe’s 2017-18 maize production could decline by 54% from the previous season to 1-million tonnes. This is due to expectations of lower yields in some areas following unfavourable weather conditions at the start of the season. Considering that Zimbabwe’s maize consumption is estimated at 1.8-million tonnes this season, the country could again be a net importer of maize to fulfil domestic needs. With such statistics, it is hard to convince anyone that Zimbabwe has really “kissed hunger goodbye”. While its government’s support programme might have contributed positively, the weather has not supported a good season. Fortunately, South Africa could have more than 2-million tonnes of maize available for the export market, which should benefit Zimbabwe over the next months. It will once again not be a bread basket for Africa, but a net importer. Written for and first published in the Business Day on 07 June 2018.